Another probable Soviet spy to cross Alister McIntosh's path was Desmond Patrick (Paddy) Costello. Born in Auckland in 1912 and educated at Auckland Grammar and Auckland University, Costello won a scholarship which took him to Trinity College, Cambridge in 1931. A brilliant linguist, Costello eventually gained a first-class degree in the classical tripos. At Cambridge, Costello joined the Communist Party of Great Britain and is believed to have been in the same "cell" as Guy Burgess and Anthony Blunt. In September 1935, Costello married Bella (Bil) Lerner, a fellow communist of Jewish/Ukrainian origin. In 1936 he joined the staff of Exeter University, but was dismissed in 1940 under a cloud. In December 1943 a NZ Press team reported on a visit to Freyberg's division by a group of senior Soviet officers. "One NZ intelligence officer... speaking in Russian, outlined the present position. The Russians were obviously amazed to find a New Zealander who could speak and joke with them in their own language..."
Back in NZ's External Affairs department, Alister McIntosh read this report and quickly telegraphed Brigadier Stevens at Base HQ in Cairo saying: "In view of the probability of establishing relations with Russia Prime Minister is anxious to know whether General Freyberg could advise on suitability or availability of officer concerned." Stevens replied, naming Costello: "who speaks German, French, Italian, Greek and Spanish fluently and Russian sufficiently well. "Coincidentally" a few days later McIntosh received a letter from NZEF intelligence officer, Geoffrey Cox, stating that Costello had recently written to him asking if he might be considered for a position in any post that might be established in Russia. Cox outlined Costello's fine war record and described him as "a man whose very great ability is matched by an equal strength, tending perhaps to rigidity of left wing views." Cox endorsed Costello's application "with the following qualifications which clearly must also be put forward. 2/ He is married to a Russian wife, actually of Ukrainian stock, whose family have been in England, I think for only one generation." "Coincidentally", Cox, was a 1932 Rhodes Scholar with, Ian Milner's old comrade, James Bertram. He had been a war correspondent for the left-leaning "News-Chronicle", during the Spanish Civil War. Frank Milner wrote of their circle thus: "Bertram tells me that he will go back to China as a war correspondent for some English papers. He is just as radical as Ian (Milner). I hear that (John)Mulgan and (Geoffrey) Cox also pledged their lives to the earliest possible socialisation of New Zealand as a start on the Empire"
Cox went on to eventually become Charge d'Affaires in the NZ Legation in Washington and was later a leading British broadcaster. Freyberg let Costello go and the aspiring diplomat was interviewed by Prime Minister Peter Fraser and Alister McIntosh in London in May 1944. Fraser is alleged to have inquired about Costello's politics and got the answer "I'm afraid I'm a bit left wing sir." Fraser reportedly replied "Oh well, it won't hurt us to have one or two Communists in Moscow." Before proceeding to Moscow via Teheran in August 1944, Costello spent a few weeks at the Foreign Office in London, where apparently he made a very good impression. Unfortunately, Costello was not the only dubious recruit. Ray Perry, formerly a Federation of Labour researcher, was a Marxist and in 1939 had been Secretary of the Wellington "Left Book Club" (founded by, among others, W B Sutch). He later rose to high rank in the NZ Foreign Affairs Department. Doug Lake was formerly a journalist on the Christchurch Star-Sun. He joined the 2nd NZEF in 1940 and became at one time a confidential clerk to General Freyberg. In the legation he served as a typist, then, after finishing his degree by learning Russian, was appointed to the Diplomatic Staff. In 1946 he married the 3rd secretary Ruth Macky, and served in Moscow till 1949. Lake left External Affairs in 1954 rather than face a security investigation. The couple became closely linked to the Wellington branch of the Communist Party, Ruth Lake joining the communist front, Society for Closer Relations with Russia. After working in the Parliamentary Press gallery Doug Lake took his family to Peking in 1962. There both worked in the Foreign Languages Institute, turning out Maoist propaganda. On returning to NZ in 1969 Doug Lake became active in the Maoist controlled NZ-China Friendship Society. Daughter Sally founded the Wellington branch of the Communist Party's unofficial youth wing, the Progressive Youth Movement. Clearly Peter Fraser got more than "one or two Communists in Moscow". In March 1945, Costello led a British military mission to Poland to deal with the repatriation of prisoners of war. In 1946 he spent 10 weeks as a member of the New Zealand delegation at the Paris Peace Conference. He played a controversial role in the settlement of a Czech–Hungarian border issue, which upset other Western delegates. Alister McIntosh wrote to Costello, in March 1945, that British security had expressed doubts about his background. 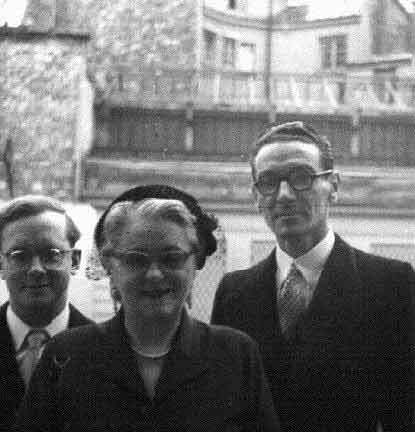 The British claimed that Mrs Costello was secretary of the Exeter branch of the Communist Party. They had no evidence the Costello was actually a Communist Party member but claimed he had been dismissed from Exeter University because of his association with a student who was convicted of offences under the official information act. In his reply to McIntosh, Costello admitted the previous party membership he had not even been accused of, but claimed his wife had broken with the Communist Party. He put down his sacking from Exeter to persecution for speaking out against British government policy. McIntosh discussed Costello with Fraser who agreed that their man in Moscow was a "safe person". Prime Minister Fraser was probably unaware that Costello’s wife had, until at least April 1944 remained active in the British Communist Party. Costello was promoted to first secretary in 1947 and chargé d’affaires in July 1949. He was described by Secretary for External Affairs, Alister McIntosh as "our most brilliant linguist and diplomatic officer". In 1950, the National Government closed the Legation (much against McIntosh's advice) and Costello moved to the NZ Legation in Paris. By mid 1953 Costello was put on notice that he could not remain in Government service. McIntosh tried to save Costello, but the pressure came from Prime Minister Syd Holland, himself. Eventually, his resignation was obtained by McIntosh in July 1954. After leaving Government service, Costello became Professor of Russian at Manchester University. It was later alleged that Costello had, while serving in Paris, issued false NZ passports to two members of "Gordon Lonsdale's" (real name Konon Molody) naval spy ring. In 1961, when Soviet spies Morris and Lona Cohen were caught they were found to have New Zealand passports (under the name Kroger) issued by the Paris legation in 1954. Costello's involvement in issuing the passports has been hotly disputed, but British Intelligence did put him under surveillance and several meetings between Costello and Soviet agents were observed. Before any action was taken however, Costello died suddenly, in 1964, aged only 52. According to British journalist, Chapman Pincher, Anthony Blunt, in his confession to British Authorities, named Costello as a fellow spy. In 1999 evidence from Soviet archives indicated that Costello had operated as a Soviet agent in Paris under the code name "Long"
Only Costello, the KGB and possibly Alister McIntosh would know for sure. This has been pretty thoroughly discredited by James MacNeish in 'The Sixth Man' and you do yourself a disservice in keeping it posted. Web of Treason 2, Ian Milner...Traitor? One Step Backwards, Two Steps Forwards?